Employers & individual tax payers had till yesterday 31 October 2018 to submit their PAYE Employer Interim Reconciliation and file for personal income tax returns to SARS before end of tax season. Many people dont know the significance of tax returns, E-filing and Compliance. The annual Tax Season is when you will be required to submit a return. For most taxpayers this runs from July to November every year. SARS is the revenue service (tax-collecting agency) of the South African government. It was established by legislation to collect revenue and ensure compliance with tax law. Its vision is to be an innovative revenue and customs agency that enhances economic growth and social development and supports South Africa’s integration into the global economy in a way that benefits all citizens. All In All we have 21 types of tax. South Africa has a progressive income taxation system which is based on the premise that the wealthy should contribute a greater proportion towards supporting the State than the poor. This means that the more a person earns the higher percentage tax they pay. People who pay income tax are generally individuals who earn an income i.e. from a salary, commission and fees etc. Taxpayers need to submit a tax return to SARS in order to calculate their tax liability based on the income they declare and the tax-deductible expenses you have incurred for a year of assessment. In some cases it may result in a refund. SARS – eFilling- eFiling is a free, simple and secure way of interacting with SARS from the comfort and convenience of your home or office. eFiling is a online process for the submission of returns and declarations and other related services. This free service allows taxpayers, tax practitioners and businesses to register free of charge and submit returns and declarations, make payments and perform a number of other interactions with SARS in a secure online environment. 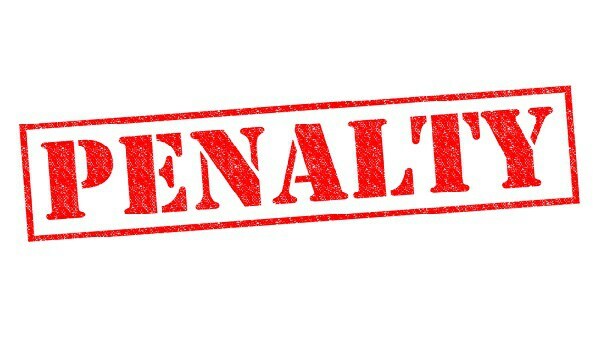 An non-compliance penalty is made up of fixed amount penalties as well as percentage-based penalties. A non-compliance penalty levied depends on the type of non-compliance. If a taxpayer doesn’t pay their tax debts (this includes penalties) by the due date, SARS is allowed to recover money held by third parties on behalf of the taxpayer. Third parties could be an employer or a bank, etc. Complying with your tax obligations as a small business has been made a lot easier over the past few years. Turnover tax is a simplified tax system for small businesses with a qualifying turnover of not more than R1 million per annum. It is a tax based on the taxable turnover of a business and is available to sole proprietors (individuals), partnerships, close corporations, companies and co-operatives. Turnover tax takes the place of VAT provisional tax, income tax, capital gains tax, secondary tax on companies (STC) and dividends tax. So qualifying businesses pay a single tax instead of various other taxes. It’s elective – so you choose whether to participate i.e. Registering your business for VAT, for PAYE, UIF and SDL. For Information on Tax Returns and Compliance visit SARS.